Tags: Stevedoring, ship agent, project forwarding, heavylift, import and export. 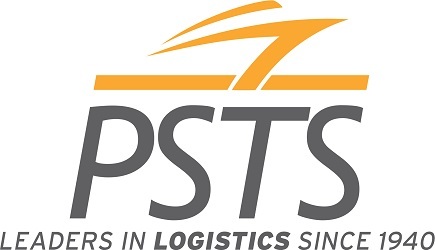 PSTS Logistics, established in 1940, is South East India’s largest integrated shipping and logistics company. PSTS has total of about 500+ employees and handles over 8.5 million tons of cargo. PSTS is handling projects, bulk and break-bulk cargo of all shapes and sizes including rail engines, steel plates, transformers, yachts, pipes, earth moving equipment, granite blocks, wind mill blades, and jumbo coils. We also have safe storage facilities inside the port premises. PSTS is backed by detailed local knowledge and strong commercial know-how for swift documentation, planned transportation, scheduled vessel connectivity, and planned pickup and prompt delivery at project site. Our infrastructure includes open & closed warehousing space of over 50,000 sq mtrs, assorted equipments with lifting capacity up to 100 MT, Fleet of axles, trucks, trailers, dumpers and payloaders. Facility to receive rail rakes inside Chennai harbour. Rail mounted Gantry Crane installed inside harbour with lifting capacity up to 45 MT. Our portfolio of services covers Shipping Agency, Customs Clearance, Freight Forwarding, CFS operations, Multi-Modal transportation, Chartering & Brokering agent, Heavy Lift & Shift Operations, Route & Site Survey for pre-production logistics requirements of new projects. PSTS – Our dedication and passion for excellence is visible in every business we deliver.